When we last spoke about meal planning we discussed the basics of how to plan. 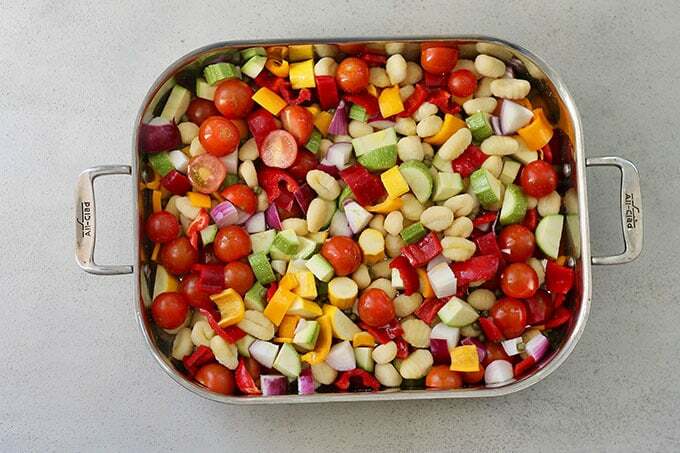 Today I want to take a deeper dive into one of my favourite ways of being prepared for the week ahead: batch cooking. 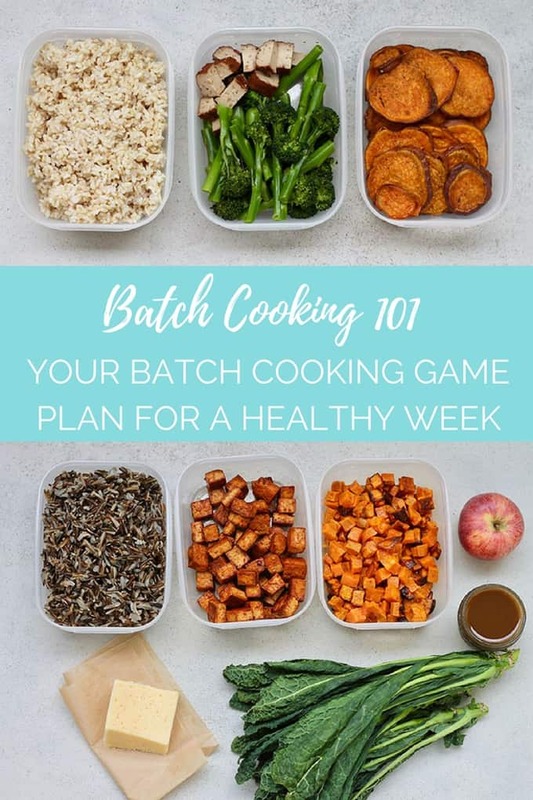 Batch cooking is a great strategy for those who like to mix and match their meals a bit, or like to make things that parlay into other meals. For example, if, on Sunday, you roasted up a big tray of vegetables, on Monday they could become roasted vegetable quesadillas. On Tuesday they could be part of your packed lunch with some cooked grain and some sort of sauce. And on Wednesday you can finish ’em up in a roasted vegetable frittata. Or, say you cooked up a big pot of brown rice. On Monday you could make rice bowls (maybe with those roasted veggies and some hummus?) or you could do a quick and easy veggie stir-fry to serve over the rice. Later in the week you could what’s left of the rice in a vegetarian fried rice, or you can even make these broccoli and quinoa nuggets with rice instead of the quinoa. Let’s break it down point by point! Healthy whole grains take a lot longer to cook than their refined counterparts, so they’re a good thing to make in bulk. Consider that white rice takes about 15 minutes to cook whereas brown rice typically takes about 45, and it’s no surprise that people aren’t keen on cooking up a batch of brown rice on a Monday night. But! If you cook up a big pot of brown rice (or wild rice or kamut or farro or barley…) on the weekend while you’re prepping everything else, you’ll be good to go all week long. Cooked grains will be good in the fridge for 3-5 days (and to be honest, I usually push it more like 5-7 days). They’ll start to dry out, so towards the end of the week are better in dishes like fried rice or those aforementioned nuggets, where they’ll get to soak up a bit of moisture. Oh! 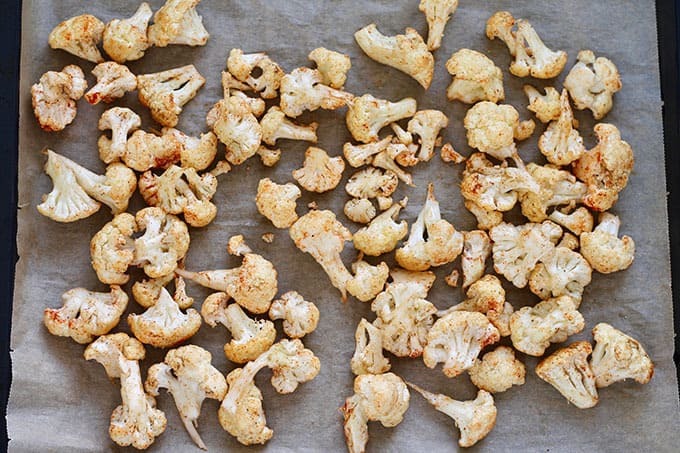 And did you know that you can totally freeze cooked grains? It’s true! I always intentionally cook more than I know I’ll need, and I portion one and two-cup portions into freezer bags to use another time. Maybe you’re more of a bean person? No problem. If you prefer soaking and cooking your beans from scratch, here’s a handy tutorial on how to cook dried beans. Use some of those beans to make a batch of black bean and quinoa freezer burritos, or, if you don’t feel like rolling burritos, how about this black bean burrito stack? You can cook up a batch of this spicy black bean ragout, which is a perfect side dish, taco filling, or bowl topper. Or, you can make a batch of these chipotle black bean burgers, which are a bit of work to pull together, but they freeze like a dream. If you eat ’em, hard boil some eggs. They’re great for snacking, healthy breakfasts on the go, egg salad sandwiches, or as toppers on salads. A good sauce can really help turn your batched cook food from just a bunch of ingredients into a tasty meal. I like to prep a protein-packed hummus, which can be used in sandwiches and wraps, as a snack, as a bowl topper, or even as the base of these Roasted Cauliflower Hummus Bowls. 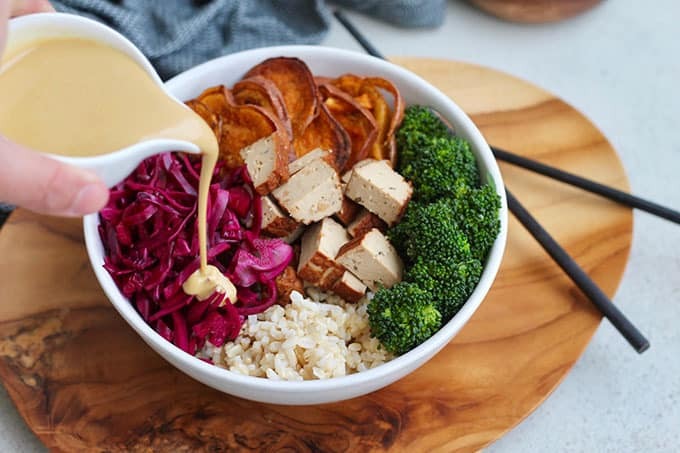 Other favourite sauces include this Orange-Carrot-Miso-Ginger Sunshine Sauce, the magic tahini sauce from these Winter Veggie Meal Prep Bowls, and the zippy almond-chili-ginger sauce from these Summer Salad Rolls. 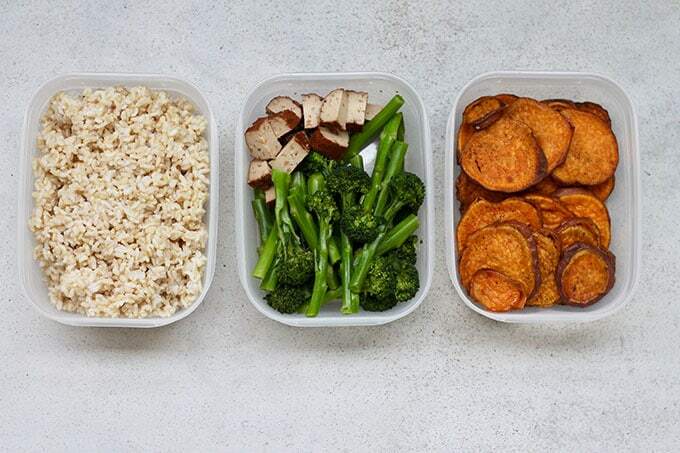 When you do your weekend meal prep, spend some time making your veggies eatable. By that I mean, wash your salad greens so they’re easy to use on the fly. 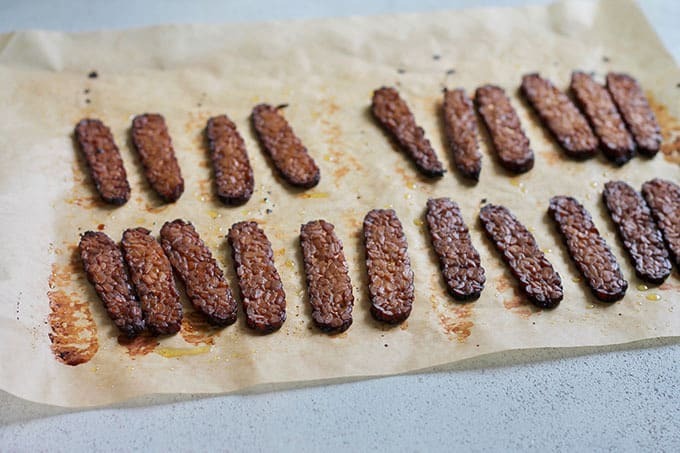 Chop up your carrot sticks and stick ’em in water for easy snacking. While you’re at it, chop anything else you might be cooking with later in the week. 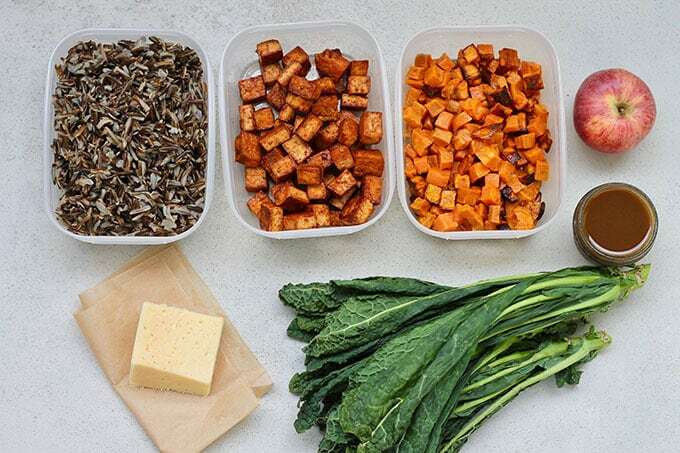 And get busy roasting veggies to be used in pastas, sandwiches, salads, and bowls, such as these Winter Veggie Meal Prep Bowls, a roasted vegetable tray bake, roasted butternut squash soup, or roasted sweet potato burrito bowls. While you’re at it, bake a couple of sweet potatoes, make a batch of kale chips, and roast some broccoli too? This is what I spend the least amount of time on, so I call them bonus items. This is where I’d spend any extra time I had on things like making batches of pizza dough to freeze. I like to half-bake my pizza bottoms and freeze them like that, so when I’m ready to make pizza all I need to do is pull one out of the freezer, top it, and throw it in the oven. I usually also spend some time baking a batch of bran muffins for weekday breakfasts and work snacks, and maybe I’ll throw some cookie dough into the freezer if I have time. You can do it! It might seem like a lot, but if break it down into grain / protein / sauce / veg, your weekly meal prep will become a lot more streamlined!